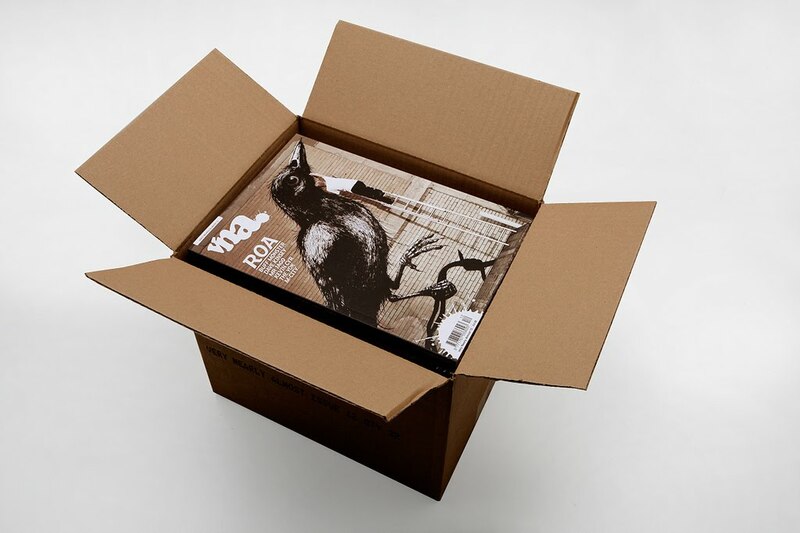 Looks like the guys over at VNA Magazine have just had delivery from the printers of Issue twelve of their always excellent streetart magazine. We are loving the cover image of this issue featuring man/ artist of the moment Roa! Invisiblemadevisible have a bunch of photos in this issue and we are really looking forward to getting our hands on a copy. No news yet on the release date of the magazine but we imagine it will be very soon. More info on the release when we have it.